… soft and comfortable corsets, approved by physicians. The concept of wearing something other than highly “trussed”, constricted style that had been in vogue since the invention of metal grommets in 1822, was indeed challenged by many throughout history, yet few women embraced the idea. 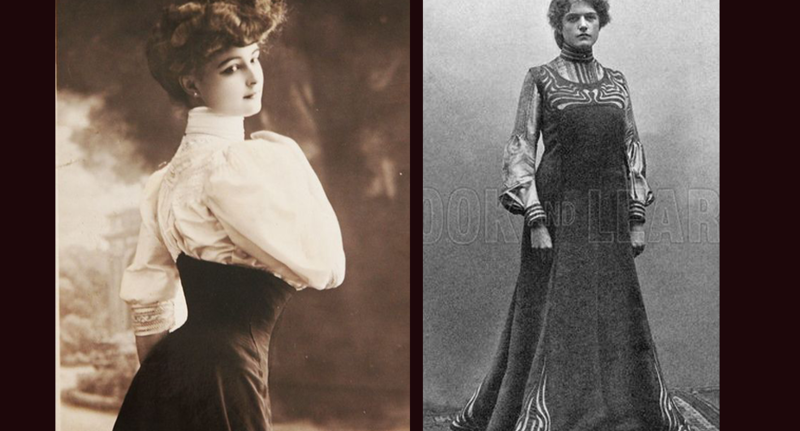 The position of a woman in society in the Victorian Era was reflected by dress. Anything less than the prevailing silhouette was considered vulgar and demeaning by most women.